Gastritis, an inflammation of the stomach lining, is a condition that can be acute or chronic. There are several different types of gastritis, and they are caused by different factors. In some cases, gastritis is a minor condition that will go away quickly. Sometimes, however, gastritis can produce ulcers that can be irritating and painful. The most important part about treating gastritis is your diet. And while there is no specially designed gastritis diet, there are foods you should eat, and foods you should avoid. Let’s take a look. If you’re on a gastritis diet, the following foods will help you battle inflammation in your stomach. High antioxidant foods include foods high in vitamin C and vitamin A, as well as foods high in flavonoids. That means berries and other foods high in vitamin C that can lower your inflammation and regulate your digestive system. Fresh fruits and vegetables are the best sources of antioxidants. Some of them include onion, squash, bell peppers, leafy greens, celery, ginger, berries, apples, cranberries, and cruciferous vegetables. The best way to fight off inflammation in the stomach is by consuming probiotics. They regulate your digestion, improve your digestive system, and control bacteria in your stomach. Some probiotics include cultured veggies, kefir, yogurt, and kombucha. Bear in mind that kefir and yogurt are dairy, so if you are lactose intolerant, you should stick to cultured veggies. In addition to reducing inflammation, probiotics fight off infections, regulate bowel movement, and control reactions to food allergies. Garlic is another high antioxidant food, but it deserves its own paragraph. You can consume it raw or cooked—it doesn’t matter. Garlic is one of the best natural remedies for GI troubles. For centuries, garlic has been used as a natural anti-inflammatory food. In addition, garlic has antibiotic properties, with some studies showing it is better than over-the-counter antibiotics. Garlic can reduce H. pylori bacteria as well as inhibit the growth of harmful bacteria in your gut. For years, licorice has been known as a natural folk remedy for digestive problems, including ulcers and acid reflux. The root of the licorice is what you want. The root contains glycyrrhizic acid, a compound that can soothe the stomach and improve the functioning of the GI tract. You can prepare a tea of licorice root to get all of its antiviral, antimicrobial, and antioxidant properties. It is a known fact that fiber improves digestion and bowel movement. A gastritis diet high in fiber will treat all digestive disorders, not just gastritis. Studies have shown that a diet high in fiber can reduce the risk of stomach ulcers by 60%. Best sources for fiber are nuts (almonds), legumes, beans, whole grains, broccoli, and chia seeds. Lean protein repairs the gut wall and helps with digestive problems. Protein can treat leaky gut syndrome, one of the causes of inflammation in the gut. Best sources of lean protein are lean meat, wild-caught fish, cage-free eggs, and poultry. Fish such as salmon are the best, since they contain omega-3 fatty acids in addition to protein. For thousands of years, folk medicine has used herbs to heal the body. Some of them are even part of the gastritis diet, and you can consume herbs as tinctures or teas. The best way is to consult with a nutritionist or herbalist. Naturopathic doctors also have a great deal of knowledge about herbs and how to use them for gastritis. Some of the herbs that you can use include peppermint, mastic, licorice, and cranberry. Usually, foods that are high in unhealthy fats are the first to avoid. 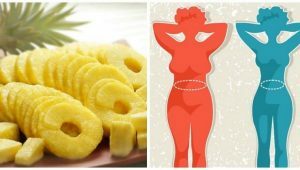 All of these can worsen the inflammation of your stomach. They do not cause the inflammation, but they worsen the condition. You might think citrus fruits are good because they are high in vitamin C, and that’s partly true. The problem is citrus fruits are also high in natural acids that cause pain when you suffer from gastritis or ulcers. As with citrus fruits, tomatoes are usually good for the stomach. However, their acidity can irritate your already sensitive stomach. Milk contains calcium and amino acids that simulate acid production. And when you have inflammation of the gut, the last thing you want is acid production, which will only worsen your symptoms. You should test your reaction to yogurt and kefir, however, since they are dairy products that are also probiotics and help with inflammation. In most cases, coffee will not cause stomach problems. However, when you suffer from gastritis, coffee is one of the least popular items on a gastritis diet. Even a decaffeinated cup of coffee will cause problems and trigger pain. Hot peppers, cayenne peppers, cayenne powder, curry, hot sauces—all of these can worsen your symptoms. Avoid spicy, hot foods if you suffer from ulcers or/and gastritis. Processed foods are a big no-no when you suffer from gastritis. Your stomach is already inflamed, so you want to avoid other inflammatory foods like white bread, white pasta, trans fats, refined vegetable oils, and products with added sugar. Let’s examine how a gastritis diet actually helps you with the problem. Adjusting your diet accordingly is just one way to help the stomach lining heal and prevent inflammation. 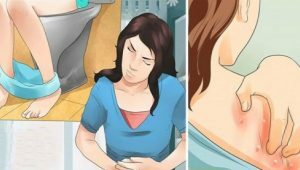 Acute gastritis can go away within days or weeks if you remove the irritants that caused the inflammation in the first place. In addition to your diet, you should also eliminate other problems like smoking, alcohol consumption, and stress. When you are following a gastritis diet, what you eat is just one part of the equation. The second is how you eat your food. Here are some bonus tips to get the most out of your gastritis diet. Eat smaller meals, but consume food more frequently. The plan is to have five to six meals throughout the day, spaced out every few hours. Don’t eat close to bedtime. Preferably, you need 3 hours before going to sleep to fully digest the food. However, if that is too much, try to eat one to two hours before going to bed. Drink water to improve your hydration. In addition to hydrating your body, water helps with digestion. Consume a glass of water with every meal (preferably before or after the meal, not during the meal). Lower toxin exposure. At the very least, quit smoking, as smoking slows the healing of the gastric mucosa. Reduce stress. Emotional stress can be a major cause of stomach inflammation and worsen the symptoms. In most cases, a major injury or a major illness can cause acute stress gastritis reaction. The injury can happen to any part of your body, and your stomach may react to it. An illness affects blood flow to your stomach, increasing the acid. This is the most common cause of gastritis, and includes consuming alcohol, consuming drugs, long-term consumption of aspirin and pain relievers, bacteria or viral infections, surgery to remove part of your stomach, and radioactive treatment to the upper abdomen. Some autoimmune diseases also contribute to gastritis. When your immune system is low, your body’s healthy tissue is under risk. H. pylori causes infection, and it is one of the two most common causes of gastritis (the second being stomach lining damage). This bacteria is common in underdeveloped countries. The symptoms start when you are a child, but they continue well into adulthood. Other infections that can cause gastritis include syphilis, viral infections, fungal infections, parasites and worms. Ingesting allergenic foods can trigger gastritis. This is especially important for people who are allergic to gluten or dairy. Make sure to work with a certified allergist and nutritionist to determine whether you are allergic to certain foods. In addition, symptoms of chronic gastritis include nausea, intestinal gas, and feelings of fullness.